The 5-Coil springs below are recommened for most 5.56 barrel configurations but the extractor then may be aggressive on case rims. Additionally, if you're bolt face has extremely tight tolerances on the barrel extension, the 5-Coil springs may interfere with clearance (such as high-end competition guns or 6.8 SPC bolts.) If you reload, you may want the Enhanced 4-Coil springs as they tend to be easier on the cases. 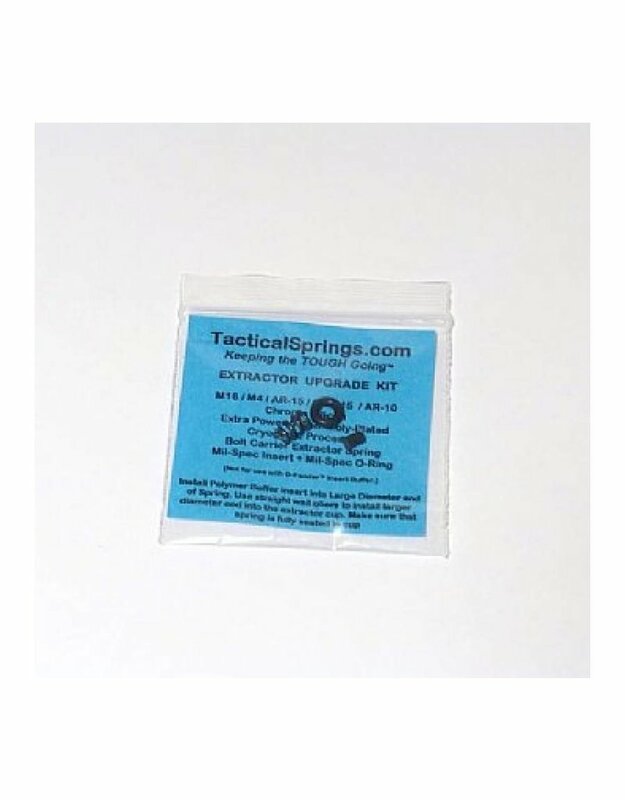 The finishing process on Tactical Springs ensures maximum duty life of your extractor spring.